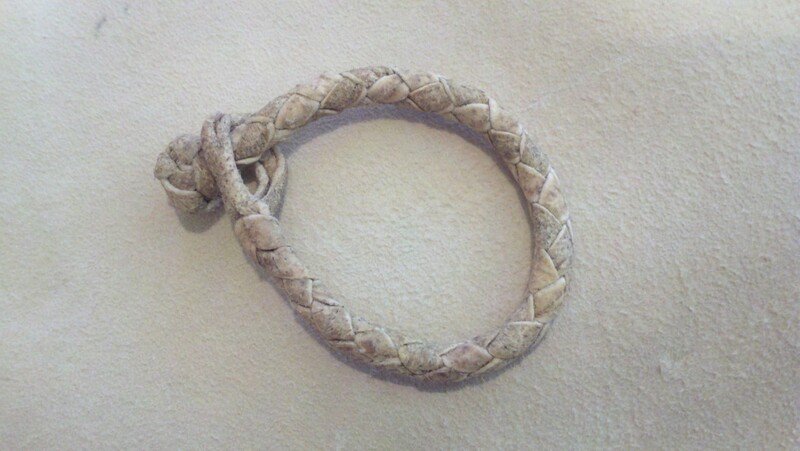 This braided Bison bracelet is tanned 100% natural using the same methods that the Native Americans used for thousands of years. Brain tanned Bison leather has its own rich character unlike any other leather. It is thick, yet soft and very durable. Bison leather was used by the Native American's for tipi's, clothing, bags, and horse gear. Brain tanned buffalo is only available today in very limited quantities. Sizes S-M-L.